Chrome Extension for Android is most demanded request by many tech enthusiasts bringing in the popular Add-on Support over mobile. You can get the Extension support for Kiwi Browser and Yandex. Google Chrome is the worlds most popular browser and the Chrome Web Store is one of the most popular browser extension and utility store. You will find Chrome Extension usage on a large scale when it comes to the Desktop browsers but Google doesn’t have any such auxiliary support for Chrome Web Store for its Android Browser. And there seems no plan from the Google to roll out any such support in future. But today I will tell a very simple and reliable method to install Chrome Extensions on Android Browser without any root or tweak. Just with the help of a different browser which accepts add-on installation from Chrome Store. The browser may not support all the Chrome extensions which is very much obvious due to different natures of Desktop and Mobile phone web. So, below are the steps by which you can install Chrome Web Extensions on your Android and enjoy the web experience to the fullest. Here are the simple steps to download and install Chrome Extensions on Android Browser. Step 2. Open chrome.google.com/webstore in the URL box. Step 4. The Browser will download the extension and Add it to your Yandex Browser. You can check for the extensions under the settings of the browser. Here are the Simple Steps to Install Chrome Extensions in Kiwi Chrome Browser for Android. 1. Download Kiwi Browser from Google Play Store. 2. Open Kiwi Browser and enter chrome://extensions in the address bar. 4. Now Visit chrome.google.com/webstore in Desktop Mode. 5. Look for your desired extension and install. Done! Extensions like Stylus, YouTube Dark Theme, Bypass Paywall, and even uBlock are working, according to the developer. You may even be able to install scripts from TamperMonkey/ViolentMonkey. It is the second chromium browser which supports Extensions for Android after Yandex. What if Browser Doesn’t Support any Extension? As I said above, some extension may have limitations due to smartphone web limits. If the extension is not supported by Browser then I recommend you to download any other extension of the same nature. The Yandex Browser also has its own plugin add-on store in case the Chrome Web Store extension doesn’t support the Browser. The new Kiwi Browser is a Complete Chromium Browser for Android which supports more Extension which has mobile compatibility. Chrome Extensions are the potential source of utility available for users which can make the work pretty much easy, the chrome extensions can also be installed on the Mozilla Firefox and the steps are briefed below. The Kiwi is a Chrome-Based Browser which runs on Google’s Blink Engine and Webkit. Thus, you can expect the same speed and page loads. Apart from speeds, the Browser also has the interface much like the Chrome Browser with inbuilt Ad Blocking and Night Mode. And with Chrome Extensions Support for Android is becomes a complete Chrome Browser. Yandex Browser is one of the most popular web browsers on Android with over 50 Million downloads. is a freeware web browser developed by the Russian web search corporation Yandex that uses Google’s Blinkweb browser engine and is based on the Chromium open source project. The browser checks WebPage security with the Yandex security system and checks downloaded files with Kaspersky anti-virus. The browser also uses Opera Software’s Turbo technology to speed web browsing on slow connections. The Yandex has a turbo mode in case of slow internet speed, inbuilt invasive Ad Blocker, web extension support and much more. The Web Tool has its own store in case if you wish to install any plugin on your Android Browser. You can alternately also install Chrome Extension on Mozilla browser using a Firefox Addon. Download Mozilla Firefox or Firefox Nightly Browser from Play Store. Here first request the Desktop View. Now under Tools, click the option “Browse for All Add-ons”. A new Firefox Addon Tab will open. Search for Chrome Store Foxified and enable the plugin. Now go to the Chrome Web Store and search for your favourite extensions. You will see a message Add to Firefox. Just install the Chrome extension on Firefox Browser for Android. Done! Using Mozilla to install Chrome Plugins may be a little complicated due to many incompatibilities and speed issues. It is, therefore, better to go with Yandex Browser for its simple and convenient installation. But the Firefox browser may support more Chrome extension on Android. Therefore I recommend you to try both the Browsers to test which one works well. Data Saver – This nature of extensions help to save internet bandwidth. Ad blocker – Most popular types of extensions to block Ads. Password Manager – Manage the Password and store the password info for various websites. VPN – Virtual Private Network can be used to deceive the location of your device. Conclusion: With Yandex Browser, you can download and install the Google Chrome Extension on your Android phone and enjoy the web to the fullest. The Chrome Web Store Extensions can be downloaded on Yandex and make the web experience more productive. 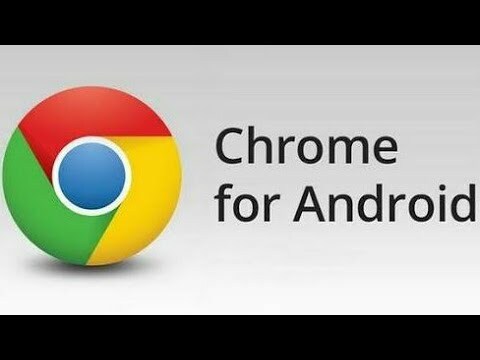 If you've any thoughts on Install Google Chrome Extensions on Android Browser, then feel free to drop in below comment box. Chrome doesn’t support extension for mobile as of yet. They Chrome extension work good. Some extensions may not work due to Smartphone limitations. Try any other alternative of the same nature. Get your facts right. It is not possible to add Chrome extensions to Yandex. Can’t add anything unless signed-in, and when signed-in it simply adds an extension to desktop (not ‘Add to Chrome’) . I just checked the same and the extensions are being installed properly on the browser. Just go to the menu option and check for installed extensions. The issue may be with few extensions but you can install chrome extensions on Yandex without any issues. Though the extensions have limitations, it works good for few plugins. Keep it up. Yes! But no built have yet tried implementing this on the Chrome Forks. today i discovered Firefox … you can install all the extension like on your computer. But wanna input on few general things, The website design and style is perfect, the articles is really superb : D.